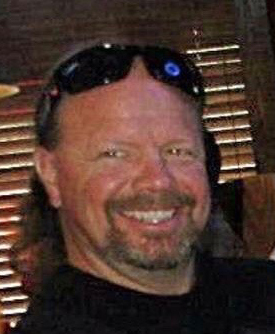 Dougie Batchelor, 48, of Leesburg, GA died Monday, October 29, 2018 at Phoebe Putney Memorial Hospital. Funeral services will be conducted Thursday, November 1, 2018 at 11:00 a.m. at Mathews Funeral Home. Rev. Jeff Ezell and Rev. Billy D. Hanna will officiate. Interment will follow in Crown Hill Cemetery. Born in Albany, GA, Mr. Batchelor had resided in Albany, GA and Leesburg, GA all of his life. He was employed with MCLB and was a member of the OFA Brotherhood. He had many cherished friends that referred to him as Paw Paw and Mini Me. He was of the Baptist faith. Survivors include his mother, Barbara Glover and her husband, John Glover, father, Waymon Lamar Batchelor, Camilla, GA, sisters, Pam Freeman and her husband, Ferman Freeman, Melissa Williams and her husband, Eddie Williams, two nephews, Tyler Freeman, Grant Freeman and a niece, Katelyn Harrell. The family will receive friends from 6:00 p.m. until 8:00 p.m. Wednesday at Mathews Funeral Home. The family is at the home of John and Barbara Glover, 2305 Greenwood Drive, Albany, GA, 31707.